Holiday apartments Vienna | Holiday apartments Vienna! ← When in Vienna, do as the Viennese do! Holiday apartments Vienna – holiday rentals in Vienna – accommodation Vienna. We offer apartments for rent here in Vienna, Viena, Wenen, Austria.Our lettings are offered as 1-bedroom apartment consisting of 2 rooms. All apartments offer balcony, are situated in quite areas and look into gardens. sat-tv and offer our guests a perfect condition for short or longterm stay. Features: Balcony, free parking, nice view, great area! Features: Balcony, free parking, close to wineyards, top area! Location: Fabulous residential area, close to city center! Features: Park area, Quite and green, free parking and free WLAN! Location: Perfect place to explore city! Holiday apartments Vienna and Holiday rentals Vienna. We offer apartments for rent here in Vienna citycenter Grinzing, Doebling, Kaasgraben, Hietzing, Meidling, Viena, Wien, Wenen, Vieno, Austria. We offer beautiful vienna short term holiday apartments in central Vienna. Our vienna vacation rentals are located in undisputedly the most sought-after areas of vienna and are walking distance to landmarks, museums, shops, bistros, cafes and brasseries.. Our selection is small, because really nice apartments and homes in the center of vienna are difficult to find, but we will not compromise on location. Vacations represent the most expected period of the year and most of us plan them in order to make sure that they are going to be the way we pictured them. If you are looking for a place where you can relax, but also enjoy some cultural activities, particularly classic music, Vienna is the right place to spend your holiday. If you are looking for cheap hotels in Vienna, you have found the right reservations website. We offer a carefully selected range of cheap accommodations in Vienna, located in the city centre, with easy access to key places of interest such as the St. Stephens Cathedral (Stephansdom), the Vienna State Opera (Staatsoper) and the Mariahilferstrasse. Take a look at our selection of cheap hotels in Vienna, and find the place that best suits your needs. We offer simple, clean, value for money hotels, ideal if you are visiting Vienna for either business or pleasure. By reserving one of our cheap hotels in Vienna, you can save on the cost of accommodation and spend more on having a good time. You know it makes sense, reserving with us is the easiest and safest way to book centrally located accommodation at the best price and with instant confirmation. Stay in Vienna for less with Apartment24-Vienna.com! Vienna Opera Ball represents an annual Austrian society event, which takes place in the building of the Vienna State Opera. The Vienna Opera Ball is one of the most important attractions of the Viennese carnival season. The auditorium of Vienna State Opera transforms into a huge ballroom each year, with the occasion of the Viennese festival. This famous ball attracts people from different countries. For this purpose, people always make sure that they have the proper accommodation Vienna. Among the celebrities who enjoy participating at this ball, we mention Sophia Lauren, Geri Halliwell, Paris Hilton, Carmen Electra and Pamela Anderson. 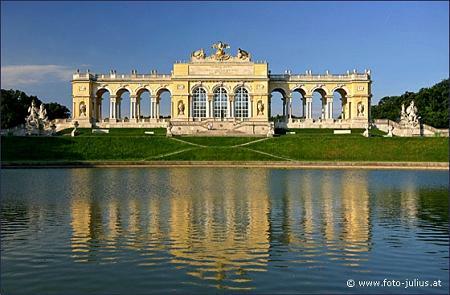 Holiday rentals Vienna are the ideal place for tourists who have no accommodation in Vienna. Holiday apartments in Vienna are available in various locations and at different prices, visitors being able to find accommodation in Vienna that suits not only their taste but also their budget. However, if you wish to rent an apartment in Vienna during the festival period, we advise you not to wait any longer, since Vienna is more than crowded during this period of the year. The Opera Ball took place for the first time in 1936 and it was suspended during the Second World War. The Ball revived after the war and since then it takes place every year, enchanting both residents and visitors. The Vienna Opera Ball is not only another famous social event of the year, but also an important economic factor, since it attracts visitors from all over the world. Tourists look for accommodation in Vienna; they shop in Vienna and so on. The Vienna Opera Ball is the highlight of the season, having guests from the world of politics, business and culture. Holiday apartments in Vienna seem to be the best option for tourists who do not like to stay at a hotel and who prefer having an apartment just for themselves, thus being able to enjoy their privacy. The famous ball takes place on February 23 and it makes available around 4 900 tickets. If you do not want to miss this ball, do not hesitate to buy tickets and to find accommodation in Vienna. The Opera Ball evokes an atmosphere of elegance and tradition. Moreover, the event is broadcasted so that everyone can participate. Holiday apartments in Vienna are situated in beautiful and quiet areas, equipped with kitchen and bathrooms, so that you can have a pleasant staying. holiday Vienna, rental Vienna, rooms Vienna, rent Vienna, Vienna property, vienna trip, room Vienna, Vienna for rent, pension vienna, rent vienna, Vienna rental, lodging in Vienna, flats in Vienna, flats for rent, accomodation Vienna, rooms in Vienna, flat for rent, accommodation Vienna, hostels Vienna. This entry was posted in About Vienna and tagged apartments vienna, holiday apartments Vienna, Vienna accommodation, Vienna cheap hotels, Vienna holiday apartment Schoenbrunn, Vienna holiday rentals, Vienna vacation rentals. Bookmark the permalink.